Career advice can come in all forms. When you feel disappointed or stuck in your career or job search, having the right encouragement can really help. This is why, in honor of Black History Month, we’ve collected some quotes from inspirational Black Americans. As a leader of the abolitionist movement, Frederick Douglass knew about challenges. His words are something everyone should remember whenever facing a struggle, both big and small. Whether you’re trying to learn a new skill or looking for a new job, there will be tough times. Instead of giving up, remember what you’re working toward. Pushing forward leads to professional development. Come up with a mantra to help you focus and power through to success. Not only did Jesse Owens win four Olympic gold medals, he did it as a black man in Nazi Germany. He spent years working and focusing on his dream. Because of that determination, he was able to overcome all the pressure and reach his goal. If you’re determined and disciplined, you can achieve your career goals as well. Create a routine that will keep you on your path. If you’re looking for a new job, make a schedule with daily goals. For instance, Mondays can be for researching companies. Tuesdays can be dedicated to updating your resume, etc. 3. “Life’s most pertinent and urgent question is, ‘What are you doing for others?’” — Martin Luther King, Jr.
Martin Luther King, Jr. was a proponent of love. He saw it as the answer to almost everything. This is also true in your career. Being kind and generous to others can help you immensely along your career path. Whenever you’re feeling overwhelmed with your career or job search, take a moment to do something for someone else. For example, if you’re waiting to hear back about a job interview, send out a few emails to people in your professional network. Ask them if there’s anything you can do for their careers, whether it’s reading their resume or connecting them with an old co-worker. By taking time for others, you can do good and relieve stress. As a foremost astrophysicist, Neil deGrasse Tyson has seen some amazing things. So when a man like Tyson tells you to look for mind-blowing knowledge every day, you should listen. It doesn’t have to be about space or science. Look for new facts and ideas in your industry. It can be a groundbreaking way to do business or a new research report. This will keep you up-to-date with what’s going on in your field. It will also reignite your passion and interest each and every day. The Pulitzer Prize-nominated poet and author Maya Angelou had a way of showing us a new perspective on the world. That can also be applied to the workplace. You can’t always change or fix a situation. You can, however, adjust how you react. When you find yourself getting frustrated, don’t bang your head against a wall. Accept the situation for what it is and adjust your perspective. For instance, if you have tired of writing cover letters, stop looking at the task as something you have to do. Think of it as a chance to tell a story — your story about your career. Then a cover letter goes from being a hoop to jump through to something fun. 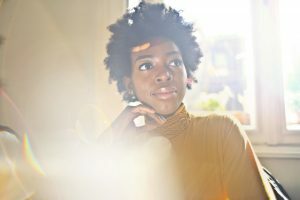 The post Black History Month – 5 Inspirational Quotes to Keep You Focused On Your Career appeared first on Blog Job Hunting Career Management Solutions | CareerShift.